M. Rabiul Alam, MD - Infectious Disease Services of Georgia, P.C. Dr. M. Rabiul Alam graduated from Government Carmichael College in Bangladesh in 1980. He received his medical degree from Dhaka Medical College in Bangladesh in 1987 and internship in 1988. In 2000, he completed his residency at Mount Sinai School of Medicine at Queens Hospital Center in New York. He completed his fellowship in Infectious Disease at William Beaumont Hospital in 2002. He is Board Certified in Infectious Disease and Internal Medicine. He has a professional affiliation with the Infectious Disease Society of America and is the founding member of Shandhani National Eye Donation Society of Bangladesh. 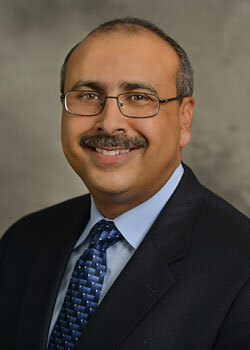 He currently serves as Director of Infection Control at North Fulton Hospital and Vice-President of IDSGA. In his spare time, he enjoys traveling and volunteer work with Distressed Child International (DCI).